On a recent visit to New York, I was delighted to see that pictures from the Government-funded Great Britain campaign were boldly splashed around Grand Central Station and throughout subway carriages. Our heritage is globally recognised as one of the assets that make Britain great, and inspiring images of that heritage are being used in this new advertising campaign to attract millions of tourists. Why, then, in this Jubilee and Olympic year, when the spotlight is shining so brightly on Britain, is the Government proposing to impose a ‘heritage tax’ on listed buildings-a tax that will have irreversible and damaging effects on our historic environment? 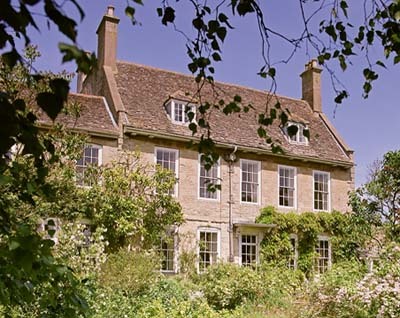 Listed buildings are protected for a reason-they represent the best surviving examples of buildings of all types and scales, from industrial mills and village halls to ‘two-up two-downs’ and country houses. Their status is a recognition of their immense public value: financial, social, cultural and aesthetic. They contribute significantly to local economies and to the Gross Domestic Product via the tourism industry-the UK’s third-largest export earner, worth some £115 billion a year. Listed buildings of all types not only define the character of our countryside and streetscapes, but are also important drivers of economic prosperity, providing a unique context in which enterprise and creativity can flourish. With listed buildings delivering such a dynamic range of benefits, why would a Government, whose priority is economic growth and whose flagship social policies revolve around communities, decide to introduce a tax on alterations to listed buildings that will harm both business and Big Society initiatives? This misguided Budget proposal aims ‘to address some anomalous VAT borderlines’ by removing VAT relief from approved alterations to listed buildings, such as fitting lavatories, improving access or installing kitchen facilities. However, unlike the other categories of goods and services that feature in this Statutory Instrument (such as hairdressers’ chairs and sports-nutrition drinks), listed buildings are, by definition, public goods. Their owners take on responsibilities for the best of our outstanding heritage on behalf of the nation-they don’t deserve an additional 20% charge for their care. As a taxpayer, I want the Government to collect and spend money as efficiently as possible. But I also believe that the aim of public policy is to deliver benefits to the whole of the nation, not simply to make life easier for the Treasury. Yet part of the Government’s motivation for this change, it would seem, is to save Her Majesty’s Revenue & Customs (HMRC) aggravation by reducing queries related to VAT on alterations. If this was the rationale, a consultation could have been issued aimed at simplifying the zero-rating process, instead of abolishing the relief altogether. In reality, this heritage tax is a lazy revenue-raising raid on what the Government sees as a soft target-a disparate constituency of owners, charities and communities. Rather than cracking down on the relatively small number of super-rich owners who avoid tax on extravagant alterations to their listed homes, this tax will hit the greater majority of modest owners and community groups working hard to reuse listed buildings. Far from being a tax break for the rich, VAT relief on alterations to listed buildings is often the sole incentive available to those willing to look after our historic environment. It’s these people, spanning the full socio-economic spectrum, who will be bludgeoned by this crude policy instrument. The Government’s apparent inability to foresee the long-term consequences of this raid on our heritage is frustrating. But its lack of evidence on which to take such a major decision is a cause for greater alarm. A recent Freedom of Information request made by the Heritage Alliance revealed that the Treasury’s evidence base consists of a sample of just over 100 cases-out of 29,000 listed-building consent decisions in 2010-11 alone. Equally worrying was the hasty consultation process, which was a far cry from the principles laid out in the Government’s own Code of Practice. These procedural shortcomings look particularly acute when one considers that this decision, once made, is irreversible under EU law. The Government’s proposal is fundamentally flawed. A specious evidence base, combined with the procedural defects that accompanied this hasty lawmaking, is wholly inappropriate for a decision of such magnitude. In a year when images of our historic streetscapes are being beamed across the world as an example of what makes this such a remarkable nation, the Government must look to the long-term. We must continue to urge Government to reverse entirely this attempt to tax all listed buildings, irrespective of type or ownership. A recent concession for the Church of England, although good news for places of worship, does not address the bigger picture of the country’s heritage as a whole. To keep Britain great, we must continue to ensure that our listed buildings have a viable future.